Theresa May’s EU withdrawal deal has been rejected by MPs by an overwhelming majority for a second time, with just 17 days to go to Brexit. 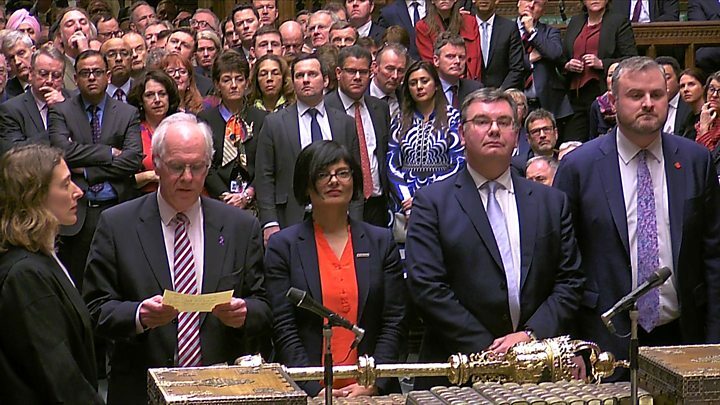 MPs voted down the prime minister’s deal by 149 – a smaller margin than when they rejected it in January. That means they can vote with their conscience rather than following the orders of party managers – an unusual move for a vote on a major policy, with Labour saying it showed she had “given up any pretence of leading the country”. Did your MP vote for or against the provisional Brexit deal? 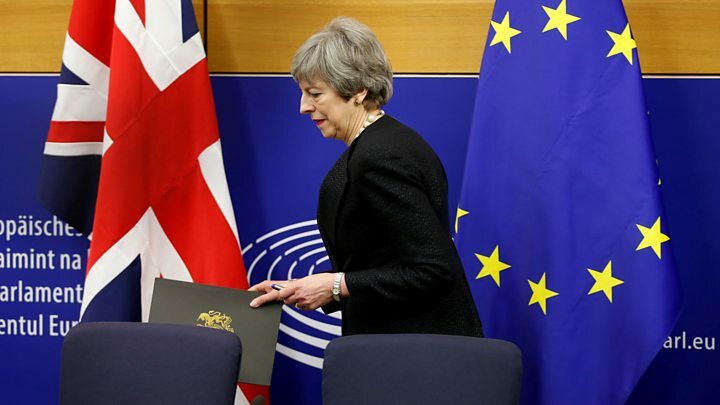 In a statement after the defeat, Mrs May said: “I continue to believe that by far the best outcome is the UK leaves the European Union in an orderly fashion with a deal. If they vote against a no-deal Brexit, they will vote the following day on whether Article 50 – the legal mechanism taking the UK out of the EU on 29 March – should be extended. Mrs May said leaving without a deal remained the UK’s default position but Downing Street said she will tell MPs whether she will vote for no-deal when she opens Wednesday’s Commons debate on it. The prime minister did not discuss resigning after her latest defeat because a government led by her had recently won a confidence vote in the Commons, added the PM’s spokesman. 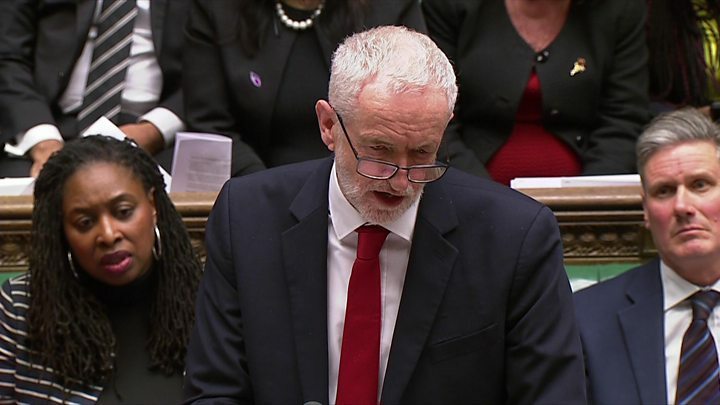 “The government has been defeated again by an enormous majority and it must accept its deal is clearly dead and does not have the support of this House,” he told MPs. He said a no-deal Brexit had to be “taken off the table” – and Labour would continue to push its alternative Brexit proposals. He did not mention the party’s commitment to back another referendum. The Tory MP, who voted against Mrs May’s deal, told BBC News: “The moral authority of 17.4 million people who voted to leave means that very few people are actually standing up and saying they want to reverse Brexit. They’re calling for a second referendum, they’re calling for delay. Leading Conservative Remainer Dominic Grieve, who backs another referendum, said Mrs May’s deal was now “finished”. The Tory MP, who voted against the prime minister’s plan, said he was confident the majority of MPs would now vote against a no-deal Brexit – and he hoped they would then vote to ask for an extension to Article 50. A spokesman for European Council president Donald Tusk echoed that message, saying it was “difficult to see what more we can do”. “With only 17 days left to 29 March, today’s vote has significantly increased the likelihood of a no-deal Brexit,” added the spokesman. The EU would consider an extension to Brexit if the UK asked for one, he added, but the 27 other EU member states would expect “a credible justification” for it. The PM’s deal was defeated by 391 to 242. The Democratic Unionist Party’s 10 MPs also voted against the deal, as did the Labour Party, SNP and other opposition parties. Three Labour MPs – Kevin Barron, Caroline Flint and John Mann – voted for the prime minister’s deal.